Chiuri and Piccioli once again turn to eighteenth century-style dress. A line-up of after-dark dresses and pastel gowns. Rooney Mara's Oscar dress? Right this way. Clothing that real women would kill to wear. Lots of sheer fabrics and nods to Dior's famed New Look. Glitz, glam, and lots of tightly cinched corsets. Celebrity stylist Cannon gives us a backstage peek at this up-and-coming designer's spring show, described as the essence of New American Glamour. The Spring runways were filled with deconstructed looks. Here's how to get the look now. Even the most wearable runway collections in Tokyo will hold your interest. 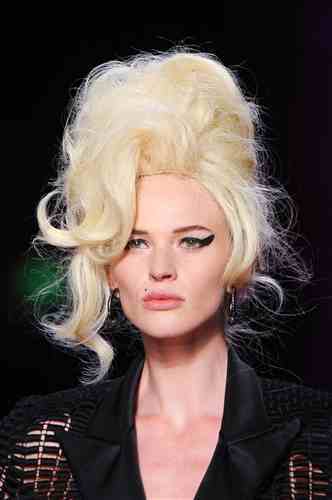 Get hot off the runway Spring 2012 beauty products now. Fashion Week isn't just about womenswear, here are some of the top menswear trends.